The implementation of the 2030 Agenda for Sustainable Development is well underway, and cooperative businesses remain one of the best-kept secrets in the SDG toolbox. Cooperative enterprises are based on ethics, values, and a set of seven fundamental principles that keep people, rather than profit, at the centre of their businesses. Cooperatives can be a self-help tool for people to create their own economic opportunities through the power of the collective and pull themselves out of poverty. They re-invest in the communities in which they operate, securing not only the livelihoods of their members but also increasing the wealth of the community as a whole. 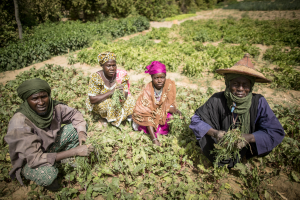 By being sources of decent work, spaces for democracy and peace building, and an economic force (the top 300 cooperatives alone generate 2.5 trillion USD in annual turnover, more than the GDP of France), cooperatives are truly a partner in transforming our world. How exactly are these people-centred, values-based enterprises helping to eradicate poverty and promote prosperity? How are they reaching those most at risk for being left behind? And what can governments, civil society, and the UN system do to better support cooperatives in their mission to build a better world? 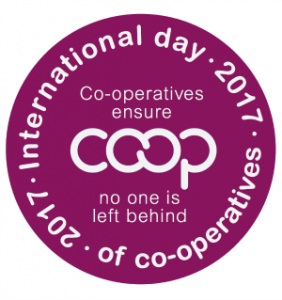 To answer these questions and share cooperative solutions for inclusive development, the Committee for the Promotion and Advancement of Cooperatives (COPAC) will host the observance of the 2017 International Day of Cooperatives during the High-level Political Forum, on 14 July from 1.15 to 2.30 p.m., Conference Room 4, United Nations Headquarters, New York. The 2017 International Day of Cooperatives will focus on ‘inclusion’ under the theme ‘Co-operatives ensure no one is left behind’, which complements the priority theme of the 2017 High-level Political Forum for Sustainable Development: ‘Eradicating poverty and promoting prosperity in a changing world’. The event will feature high-level speakers from COPAC’s membership, co-operatives in the field, and Permanent Representations to the UN. Participants will be invited to engage in an interactive discussion with our speakers and to enjoy the debut of COPAC’s video ‘Cooperatives ensure no one is left behind’. COPAC is a multi-stakeholder partnership of global public and private institutions that promotes and advances people-centred, self-sustaining cooperative enterprises, guided by the principles of sustainable development – economic, social and environmental – in all aspects of its work. The Committee’s current members are the UN Department of Economic and Social Affairs (DESA), the International Labour Organization (ILO), the International Co-operative Alliance, the Food and Agriculture Organization of the United Nations (FAO), and the World Farmers’ Organisation.